The 2013 Oscars has awarded Daniel Day-Lewis in Steven Spielberg's "Lincoln" the best actor prize for his performance. Spielberg's film depicts the 16th American president, at the end of the civil war endeavouring to pass an amendment that will lead to the abolition of slavery. But let us make no mistake. Lincoln held racist views. When he said “all men are created equal” he meant all white men. Lincoln supported the pre-Civil War “Black Laws,” which stripped African-Americans of their basic rights in his native Illinois, as well as the Fugitive Slave Act, which compelled the return to their masters of those who had escaped to free soil in the North, he was a white-supremacist whose projected plan for dealing with racial problems was ‘colonization’ – the deportation of all American blacks to Africa, Haiti, or Central America – anywhere but the United States, which would be for whites only. If Lincoln had had his way there would be no black people in America today. "I fully appreciate the present peril the country is in, and the weight of responsibility on me. Do the people of the South really entertain fears that a Republican administration would, directly or indirectly, interfere with the slaves, or with them about slaves? It they do, I wish to assure you...that there is no cause for such fears..."
In fact, the Emancipation Proclamation was issued as a war measure against the rebels and did not apply to those slaves loyal to the Union. The Republican Party made quite plain the fact that it was not opposed to the continuation of slavery in the South provided it was not spread into the frontier areas in which the Northern industrialists wished to establish their own slave system - wage labour. Before his career as a politician Abraham Lincoln had served as a corporate attorney for some of the biggest interests in Illinois, including “Railroad Barons” As president he signed legislation that virtually gave away miles of public land to the railroads for free. His son, Robert Todd Lincoln, went on to a successful career as the president of the Pullman Car Company. Political movements always employ slogans that represents in a few words the aspirations of those fighting for a new world. “Liberty, Equality, Fraternity" in the French Revolution or "Peace, Bread and Land" in 1917 Russia. The Occupy movement took as its watchwords, “We are the 99 %.” Some say that the slogan is factually inaccurate but they miss the point. “We are the 99%” is high-lighting “us versus them”, representing a class perspective. The issue here is not the literal meaning of the “1%,” but about power. The 1% own our workplaces and control our labor. They control nearly every aspect of society—government, media, schools, culture—to maintain and increase their dominance over us. What the slogan, “We are the 99%,” has done is bring that power into the open. “We are the many, they are the few” should always remain in the foremost in our minds when we combat our enemies in the class war. The rich also have their slogans. Last time it was the "grand bargain", the "fiscal cliff", now it is the "sequestration" - made-up media words for budget spending cuts, saying the same thing over and over again, but just differently. In the UK and Europe we call it "austerity". Unemployment benefits: More than 3.8 million people getting long-term unemployment benefits would see their monthly payments reduced by as much as 9.4 percent, and would lose an average of $400 in benefits over their period of joblessness..
Special education: $978 million* in cuts would affect 30.7 million children. For example, the scaling back of federal grants to states for students with disabilities would mean that cash-strapped states and districts would have to come up with the salaries for thousands of teachers, aides, and staff that serve special needs kids. The Institute for Works of Religion is the official name of the Vatican bank. The bank’s official role is to safeguard and administer property intended for works of religion or charity. It was set up in 1942 by Pope Pius XII to manage the vast Vatican finances and is run by a CEO and overseen by five cardinals who report directly to the Pope. The Vatican Bank is not a “true” bank. There are no check books. It doesn’t make loans. It is more a fund deposit and transfer institution than a bank. The IOR doesn't invest in the stock market, though they operate on the currency or bond market, or buy gold. The IOR also generates income by placing deposits in short-term government securities and in interest-bearing accounts at other banks. Depositors usually receive interest above the prevailing rate making it attractive to honest religious orders and Catholic groups. Because it is only one unit situated in a sovereign state, each transaction is "international" even if the other institution is just outside the Vatican’s walls in Rome. The scandals associated with the Vatican bank, particularly over the last four decades, are sordid. They include money laundering for narcotics traffickers, bribery, skimming charitable funds to enrich priests, and tax evasion for wealthy Italians. 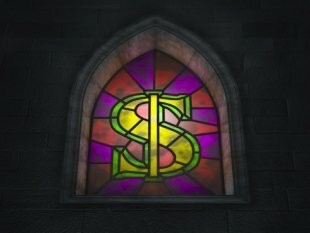 The Church’s past offenses of selling indulgences and charging fees for sacraments have been updated for the world of modern finance, complete with shell companies, speculation and secret transfers. In May 2012, Pope Benedict XVI’s butler was arrested for leaking documents bristling with claims of financial corruption and criminal activity involving major Italian companies. The last Vatican bank chairman, Ettore Gotti Tedeschi, was shown the door when it was revealed that the bank was running afoul of international money-laundering standards. Leaked material and reporting reveals a bank that appears to be a kind of rogue offshore vehicle favored by various kinds of miscreants, including right-wing politicians, mafia types and tax evaders who wish to hide their financial transactions. The IOR functions as an “off-shore” financial institution for rightwing politicians, the Mafia, Italian tax-evaders and other disreputable characters. The IOR ensures privileges to be granted in exchange for political backing, legal provisions and business support. Subsequent investigations have resulted in a shutdown of credit card transactions at all Vatican venues - God only accepts cash right now. In the 1980s, the Vatican bank was involved in a major political and financial scandal involving the $4.7 billion collapse of Banco Ambrosiano. American monsignor Paul Marcinkus, chief of the Vatican bank from 1971 to 1989, avoided indictment when the Italian courts ruled that his status as a priest and high-ranking prelate of the Vatican gave him diplomatic immunity from prosecution. Perhaps some also recall that a certain Roberto Calvi, known as “God’s banker”, was the chairman of Banco Ambrosiano. He also did business with the Mafia, and was found in June 1982 swinging from Blackfriars Bridge in London the day after his dismissal from the bank. 1. That he not be restricted by religious or doctrinal considerations in his investment-making. 2. That he be free to invest funds anywhere in the world. In addition to the Institute for Religious Works there exists the Administration of the Patrimony of the Holy See. That is the unit which holds the secret investment and property portfolios. There are also about 80 departments, agencies, and foundations in the Vatican each having their own money and investments, but those funds are generally restricted to the purpose of the each department. Also the Prefecture for Economic Affairs administers the Vatican City State. 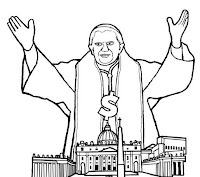 When the Vatican makes its annual non-detailed financial statement on the Holy See (as the Church’s government is called) and the Vatican City State and announces whether they made or lost money for that fiscal year, it is referring to the income from the museums, gift shops, donations from Peter’s Pence, the bishops and religious orders and expenses such as salaries and communications. 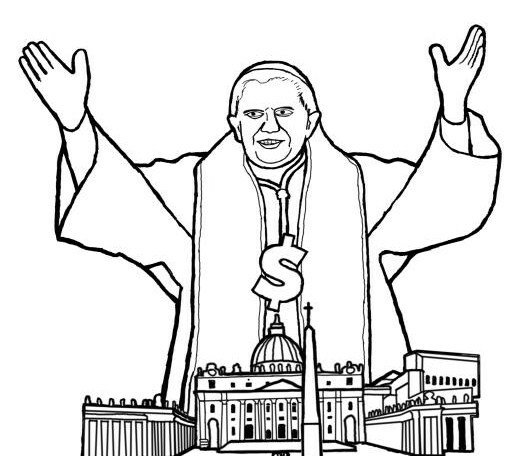 The new incoming Pope will be taking over as the CEO of a multi-national business enterprise rather than a church. The Guardian reports that capitalism is failing to provide for the health of workers. Pharmaceutical multinationals have halted shipments to the country because of the economic crisis and concerns that the drugs will be exported by middlemen because prices are higher in other European countries. The Greek has drawn up a list of more than 50 pharmaceutical companies it accuses of halting or planning to halt supplies because of low prices in the country. Hundreds of drugs are in short supply and the situation is getting worse, according to the Greek drug regulator with more than 200 medicinal products are affected, including treatments for arthritis, hepatitis C and hypertension, cholesterol-lowering agents, antipsychotics, antibiotics, anaesthetics and immunomodulators used to treat bowel disease. The government list includes some of the world's leading pharmaceutical companies, such as Pfizer, Roche, Sanofi, GlaxoSmithKline and AstraZeneca. Some companies admitted they were not supplying some medicines. "Companies are ceasing these supplies because Greece is not profitable for them and they are worried that their products will be exported by traders to other richer countries through parallel trade as Greece has the lowest medicine prices in Europe," said Professor Yannis Tountas, the president of the Greek drug regulator, the National Organisation for Medicines. The body representing pharmacists, the Panhellenic Pharmaceutical Association, confirmed the shortages. "I would say supplies are down by 90%," said Dimitris Karageorgiou, its secretary general. "The companies are ensuring that they come in dribs and drabs to avoid prosecution. Everyone is really frightened. Customers tell me they are afraid [about] losing access to medication altogether. "Around 300 drugs are in very short supply and they include innovative drugs, medications for cancer patients and people suffering from clinical depression," said Karageorgiou. "It's a disgrace. The government is panic-stricken and the multinationals only think about themselves and the issue of parallel trade because wholesalers can legally sell them to other European nations at a higher price." Many shortages are because of products being exported through parallel trade. Under EU trade rules, the free movement of goods is allowed. So for example, while a pharmaceutical company may sell a medicine to a wholesaler or pharmacist in Greece, the wholesaler or pharmacist can sell these medicines on to wholesalers in other countries. Parallel traders do this to make money on the price differences between countries. Greece's drug prices are 20% or more lower than the lowest prices in Europe. The regulator has introduced export bans for nearly 60 medicines to try to tackle the problem and is looking at 300 more products. It is also investigating 10 wholesalers and 260 pharmacists who it believes have broken the export ban. Greece's social insurance funds and hospitals owe pharmaceutical companies about €1.9bn (£1.6bn), a debt going back to 2011, with companies expecting payments of €500m this month. Separately the Red Cross was reducing its supply of donor blood to Greece because it had not paid its bills on time. This recent statement by the gas company Centrica is tacit confirmation of the often disputed position of the Socialist Party that taxation is the burden of the employing class and not of the workers. "The report also claims that Centrica provides £4.2bn in "total tax payments" including its own payments to HM Revenue and Customs of £1.1bn, national insurance and PAYE contributions from its staff and tax paid by consumers on their bills." They could also have included the VAT they collect and pass on to the government in those figures. Centrica does actually pay workers' National Insurance contributions and PAYE income tax directly to the government without, as we've always pointed out, these ever even passing into the hands of the workers. With these particular payments it should be clear to everyone that workers don't pay them even in the literal sense. They do of course pay from their wages some taxes (eg council tax) but not these. But not too much of a burden British Gas – the biggest energy supplier in the UK – unveiled an 11% increase in profits and its parent group, Centrica, promised a £1.3bn handout to its shareholders just months after pushing through an increase in household bills. Dividends of more than £3.5bn have now been paid out by Centrica over the last five years. Centrica reported operating profits of £2.7bn – up 14% – and announced plans to hand an additional £500m to shareholders this year by buying back, and then cancelling, its own shares. The process should increase the share price. Campaign groups warned that 160,000 children had been dragged into fuel poverty by the actions of the big six energy suppliers since 2010. Trade union bosses accused energy chiefs of "creaming off" profits. The campaign group Fuel Poverty Action warned "These profits were made on the back of forcing millions into fuel poverty and from a 'dash for gas' that will send bills even higher as well as contributing to rising food prices through climate change,"
Phil Bentley, a former BP executive, British Gas's managing director, will stand down with a combined pay and pension package worth more than £10m. Bentley, plans to leave British Gas by the end of the year and is apparently hoping to become a chief executive elsewhere. But it was also revealed that the energy boss will be able to retire in four years time with an annual pension of £225,000 after working for the company for little over 12 years. Profits at U.S. banks jumped almost 37 percent for the October-December period, reaching the highest level for a fourth quarter in six years. Banks earned $34.7 billion in the last three months of 2012, up from $25.4 billion a year ago and the highest for a fourth quarter since 2006, the Federal Deposit Insurance Corp., created during the Great Depression to ensure bank deposits, monitors and examines the financial condition of U.S. banks, reported Tuesday. Sixty percent of banks reported improved earnings from the fourth quarter of 2011, the agency said. For all of 2012, the agency said bank earnings rose 19 percent to $141.3 billion, the second-highest annual level ever. Banks with assets exceeding $10 billion drove the bulk of the earnings growth in the October-December period. While they make up just 1.5 percent of U.S. banks, they accounted for about 82 percent of the industry earnings. Those banks include Bank of America Corp., Citigroup Inc., JPMorgan Chase & Co. and Wells Fargo & Co. Most of them have recovered with help from federal bailout money and record-low borrowing rates. The average cash bonus paid to Wall Street employees has jumped 9 per cent, thanks to rebounding financial industry profits and dramatic job cuts that spread the rewards across a smaller pool. Cash payments totalled $20bn in this year’s bonus season, which reflected work undertaken in 2012, according to numbers released by the New York state comptroller on Tuesday. The average amount of cash taken home by Wall Street employees was $121,900 – up from the $111,340 handed out last year. Candida Moss, professor of New Testament and early Christianity at the University of Notre Dame in “The Myth of Persecution: How Early Christians Invented a Story of Martyrdom,” explains that in the 300 years between the death of Jesus and the conversion of the Emperor Constantine, there were maybe 10 or 12 scattered years during which Christians were singled out for supression by Rome’s imperial authorities. “Christians were never,” Moss writes, “the victims of sustained, targeted persecution.” and that “the Sunday school narrative of a church of martyrs, of Christians huddled in catacombs out of fear, meeting in secret to avoid arrest and mercilessly thrown to lions merely for their religious beliefs.” None of that, she maintains, is true. According to cherished church tradition and popular belief, before the Emperor Constantine made Christianity legal in the fourth century, early Christians were systematically persecuted by a brutal Roman Empire intent on their destruction. As the story goes, vast numbers of believers were thrown to the lions, tortured, or burned alive because they refused to renounce Christ. These saints, Christianity’s inspirational heroes, are still venerated today. Moss, however, exposes that the “Age of Martyrs” is a fiction. Moss examines surviving Roman records of the only concerted anti-Christian Roman campaign, under the emperor Diocletian between 303 and 306, Christians were expelled from public offices. Their churches, such as the one in Nicomedia, across the street from the imperial palace, were destroyed. Yet, as Moss points out, if the Christians were holding high offices in the first place and had built their church “in the emperor’s own front yard,” they could hardly have been in hiding away in catacombs before Diocletian issued his edicts against them. “The idea of the persecuted church is almost entirely the invention of the 4th century and later,” she writes. This was, significantly, a period during which the church had become “politically secure,” thanks to Constantine. Yet, instead of providing a truthful account of Christianity’s early years, the scholars and clerics of the fourth century produced tales of horrific, systemic violence. These stories were used as propaganda against heretical ideas or sects. The early church exaggerated, invented, and forged stories of Christian martyrs and how the dangerous legacy of a martyrdom complex is employed today to silence dissent. The traditional story of persecution is still taught and celebrated in sermons, employed by church leaders, politicians, and media pundits who insist that Christians were—and always will be—persecuted by a hostile, secular world. Moss urges modern Christians to abandon the conspiratorial assumption that the world is out to get Christians. Butcher to the Customer: Aye, neigh bother. Who is responsible for the horsemeat scandal? "Not us’ say the government (even though they cut the number of food inspectors). ‘Nor us’, say the supermarket bosses. "Us neither" say the suppliers. "It wasn't us" say the abattoirs. As in every good ‘Whodunnit’ drama, we are looking for a bad guy. The French and then the Romanians were first to be blamed, now it is organised crime and the Mafia. The Swedes blamed the French company Spanghero who also deny the charge. The Netherlands said the Cyprus-based meat vendor Draap that sold the meat to Spanghold was responsible, and the company’s track record would suggest the Dutch had a point. In 2012 Draap was convicted of selling South American horsemeat labeled at German and Dutch beef. Draap — run by a trust in the British Virgin Islands — is owned by the company Guardstand, that in turn owns part of the arms dealing company, Ilex Ventures. According to prosecutors in New York, convicted international arms dealer Viktor Bout owns Ilex Ventures. Guardstand’s sole shareholderis Trident Trust, which sets up companies in tax-free nations. Guardstand helped set up Ilex. A kilo of horsemeat costs $0.66 cents, a kilo of beef, $3.95. We have all been unwitting victims of money-fuelled profit policies where the whole food industry and its regulators have been complicit in cheating workers by substituting nutricious healthy safe food for chemicalised processed convenience food. Processed food products is a business with traditionally low margins that often leads producers to hunt for the cheapest suppliers and often contain ingredients from multiple suppliers in different countries, who themselves at time subcontract production to others, making it hard to monitor every link in the production chain. Dirk Niebel Germany's development minister has suggested that horsemeat mislabelled as beef should be distributed to the poor. Prelate Bernhard Felmberg, the senior representative of the Evangelical Church in Germany, has backed the proposal saying "to throw away food that could be consumed without risk is equally bad as false labelling and cannot be a solution." The power of South Korea’s chaebols – huge, family-owned conglomerates that have helped transform one of the world’s poorest countries into Asia’s fourth-largest economy in just a couple of generations. The new president Park Geun-Hye has now been sworn in to office, and for South Korea’s elite many believe it is business as usual. Samsung accounts for 13 per cent of the country’s entire exports and a fifth of its GDP, according to the Korea Times. Its subsidiaries build a large share of the country’s infrastructure, from nuclear reactors to bridges and apartment blocks. The company has double Apple’s 17 per cent share of the global market for smartphones. According to The Economist, The “Samsung group”, has no legal identity: its 83 firms shelter under an umbrella company in which the Lee family has a controlling 46 per cent stake. The company runs the Samsung Everland Theme Park, one of the world’s biggest, the Samsung Museum of Art and many other cultural attractions. the Lee family has been in charge since it began life as a noodle business in the 1930s. The family’s business clout is vast: Lee’s daughter runs a luxury hotel chain; his son is chief operating officer of Samsung Electronics; his brother runs a food and entertainment empire; his nephew runs a franchise that includes Starbucks; his sister married into the LG Group. Mr Lee himself transformed the empire he took over from his father, group founder Lee Byung-chul, a quarter of a century ago. Eight years ago politician Roh Hoe-chan with the help of two journalists, published secret recordings of an aide to Samsung chairman Lee Kun-Hee discussing what appeared to be payments to prosecutors and a corporate slush fund to channel illegal funds to presidential candidates. The case ended this month with a Supreme Court conviction for Mr Roh and the humiliating forfeiture of his parliamentary seat. While parliamentary privilege protects what South Korean politicians say in the National Assembly, the court ruled that the same does not apply in cyberspace. Mr Roh, a politician with the Progressive Justice Party had appeared to uncover a legal smoking gun with the publication in 2005 of the wiretaps. In 2008 Lee Kun-Hee – Korea’s richest man – was forced to quit and fined $100m after being convicted of tax evasion and breach of trust following an investigation sparked by the wiretaps. But a year later the country’s pro-business president Lee Myung-bak pardoned him. Lee Kun-Hee has since returned to Samsung as chairman. Last week the Supreme Court concluded that had Roh Hoe-chan in fact violated the “Protection of Communication Secrets Act” by putting the transcripts on his website. “Samsung definitely controls the careers of prosecutors in Korea, destroying the careers of those that take any action against the company,” says Michael Kim, a former senior manager with Samsung. “Most prosecutors simply opt for the cash (golf bags full of it) and leave Samsung alone.” Mr Kim says officials with a government anti-corruption agency once flatly told him “that they have no jurisdiction over Samsung”. Kim Yong-chui, a former chief lawyer for the group, claimed that the company established a $200m slush fund to buy off politicians and prosecutors. His book, Thinking of Samsung, documents widespread corruption, price-fixing and bribery inside the Samsung empire. The United States founding fathers, a group of propertied elites, slave holders, noted lawyers and wealthy merchants, created a system designed to prevent a truly democratic state. Ray Raphael in The First American Revolution: Before Lexington and Concord describes the colonialists as being intensely democratic, disavowing all leadership. In fact, "when they elected representatives, they did so on a day-to-day basis." The founders were concerned with "the excess of democracy" as one delegate to the convention said. James Madison, "father" of the Constitution, wrote in The Federalist Papers 10: "Democracies have ever been...incompatible with...the rights of property...[because it would threaten] the unequal distribution of property." The new Constitution put property rights ahead of human rights. It established a republic in which courts protected minority rights and property rights from majority sentiment, and government power was limited. There are the "deserving poor" such as orphans, accident victims and those with debilitating illness. for whom society happily provides charity. But then there are the "undeserving poor", those live in poverty because they are lazy, shiftless, alcoholic, drug addicted, or are sexually promiscuous and have too many kids. Providing assistance to the undeserving poor just enables them to carry on their lifestyle, allowing them to remain permanent social parasites feeding off the labour of "good, productive" citizens. There are also "good" capitalists and "bad" capitalists and the more progressive liberals amongst them appear more understanding and sympathetically argue that the cause of long-term poverty is lack of opportunity, inadequate education or jobs discrimination because of race, gender, therefore the corresponding solution is to supply opportunity by ending discrimination, providing education, training, child care,investing public and private funds to create new jobs. They developed a strategy of trying to improve social conditions for the destitute, the sick, the handicapped, the unemployed and the old by means of social reform legislation. But when in power they found that they had to give priority instead to profits and profit-making. The welfare state is an inevitable part of capitalism of administering workers poverty. The benefits system actually benefits employers who otherwise would face the costs and disruption of having to keep on people whose illness makes them turn up to work irregularly, who would lie in desperation to gets jobs about their illnesses, and push much of the cost currently borne generally through taxes directly onto capitalists who employ many workers. Most people are probably only two pay cheques away from needing to call on welfare benefits, but rather than portray it as a system to help people and prevent catastrophe it is universally presented by politicians as a location of cheats, frauds and scroungers, riddled with layabouts and other undeserving poor types. Benefits and being on benefits is to be despised and feared. Despite this, though, people are compelled to claim them because because they are too ill to work or because work is not available. 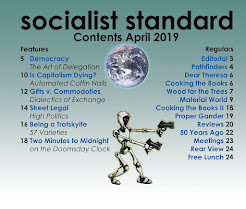 The Socialist Party aim is the destruction of the capitalist system of society, and we are therefore hostile to all political parties which seek to gain control of parliament for any other purpose than the establishment of socialism. The socialists task is to reach out to people and show them a movement that is capable of playing a role in changing the world. Workers too often plead for more charity or welfare, instead of demanding and winning social and economic justice. The welfare state should not be seen as a stepping-stone on the way to socialism, but as an inevitable part of capitalism, of administering workers poverty. Then the rich would live and the poor would die"
At least one-quarter of all farming families live on or below the official poverty line. The average wage for people working in rural communities is nearly £5,000 lower than the national average, yet house prices are astronomically high because demand to live in the countryside by wealthy town-dwellers. Surely from bitter experience of the recession there isn't anyone who still is not aware that the economy does not operate in the interests of the vast numbers of everyday people. The rich and powerful have gained more wealth and power than ever and we just keep on losing ground. All the statistics prove it is so. This blog has repeatedly cited them. The criminal activities of the large banks and the lack of prosecutions have led to them being called "the untouchables" as they continue to reward themselves with bonuses while the economic calamity they were culpable of causing cost tens of millions of people around the globe their jobs, homes, life savings and all hope for a better future. The foolish and/or crooked running the banks were left in place. The job of economists is to rationalize, justify, and celebrate the system. Capitalists absolve themselves from personal responsibility by blaming the market for the things that they did and had to do. They inadvertently open a can of worms for themselves because it is another way of saying, "It's the economic system that to blame. Capitalism is at fault." Bankers do what this system goads them to do and are admitting that "these are the things that will advance the interests of my bank. These are the problems I have to overcome. And that's what I try to do." They're following the rules. That's what they're hired to do as executives and do to the best of their ability. Regulation never delivered on its promise. The previous regulations didn't work and nor will the next. Either they will be undone, or they are evaded. And that's the history of every regulation. This system makes them do the very things that need regulation and then makes them evade or undo those regulations. Yet why do people still cling to capitalism? Because they are being taught that politics, debate, and struggle, is a dead end. But capitalism is producing its own undoing. It is creating tensions and hostilities. People are going to find ways to protest against the system. In country after country going through this crisis, we're seeing more or less the same thing. A upsurge of opposition to what's happening in this capitalist system. People are raising questions such as , "What do we do? ", "Where do we go?" and "If regulation isn't the solution what then is the alternative?" Three companies now account for more than 40 per cent of global coffee sales. eight companies control the supply of cocoa and chocolate. seven control 85 per cent of tea production. five account for 75 per cent of the world banana trade. six sugar traders account for about two-thirds of world trade. Such tight control of the markets by multinationals – which can use their "buyer power" to dictate how the supply chain is run – can leave smallholders "marginalised", surviving on precarious contracts, poverty wages, and with poor health and safety practices, a report by the Fairtrade Foundation warns. Cocoa growers, for instance, now receive 3.5 to 6 per cent of the average retail value of a chocolate bar; in the 1980s they got 18 per cent. " producers have no choice but to sell for low prices" Michael Gidney, chief executive of the Fairtrade Foundation, said. "millions of small farmers are condemned to poverty." Around the world farmers have been pressured by large companies to grow cash crops. 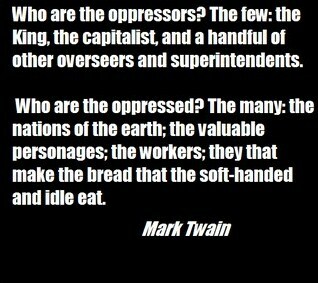 The mega-corporations use, wherever there is a perceived advantage, the poorer countries for cash crops, manufacturing using cheap labour, cheaper processing and they take advantage of huge subsidies for which they lobby constantly, and on the other show indifference to the employees and labourers in these countries. Wages are kept as low as can be managed and conditions of employment are almost non-existent. Long working hours, enforced, often unpaid, overtime, no sick-pay non-existent or poor compensation for accidents and no pension. Cotton started to displace food crops in India after trade liberalisation was introduced in 1991. Aggressive advertising campaigns were conducted by Monsanto, for one, to introduce hybrid cotton seed which, being more vulnerable to pest attack, required the use of more pesticide than the varieties traditionally grown. Having borrowed on credit for both seed and pesticide and finding themselves in unresolvable debt following crop failures suicides of Indian farmers became and continues to be a huge problem. There are ecological issues surrounding the current world food system. In their pursuit of profit worldwide mega-corporations have been responsible for some of the worst degradation of land, water, air and sea. Particularly relevant to food production, however, it is being recognised in more quarters that industrial farming damages the environment (as well as concentrating profits in fewer hands) and that small farms are actually more productive and much less damaging. In 2008 a UN commission of 400 agricultural experts concluded that the world needs to shift from current agribusiness methods to a more ecological and small-scale approach. It comes as no surprise to learn that neither the US government nor agribusiness agreed to endorse the recommendations. The "fair trade" movement attempts to provide more than a subsistence wage to farmers around the world and give a guaranteed price even when prices on the world market fluctuate. Sadly "fair trade" proponents are on to a loser ultimately. Their "cures" in the end are not radical enough to solve the problem. The answer lies not in “fair trade” but in "no trade", in coffee along with every other food, good or service ceasing to be a commodity traded on a market and being produced instead solely and directly to satisfy people's needs. The whole notion of ‘fair trade’, for instance, has become itself part of the competitive selling industry. No market can ever be made to work for the poor as well as the rich. Food should be clean – free from contaminants and chemicals, fresh if possible – grown more local the better; and nutritious. Free food for all would come with the bonus of knowing there would no longer be any incentive to adulterate ingredients. The question of “fair trade” wouldn't arise as all along the line farmers, producers, pickers, packers and distributors would have the same motivation to provide good clean food knowing they have the same access as the consumers. This has to be a win-win situation. Removing money, the incentive and purpose of accumulation (the raison d’être of capitalism) and transforming world society into one of free access and common ownership – the world belonging to all and to none – will be to eliminate the causes of hunger and to effect an end to further financial speculation about world food. Oxford University's Bullingdon Club is seen by many to represent the most worst of the UK's class system. 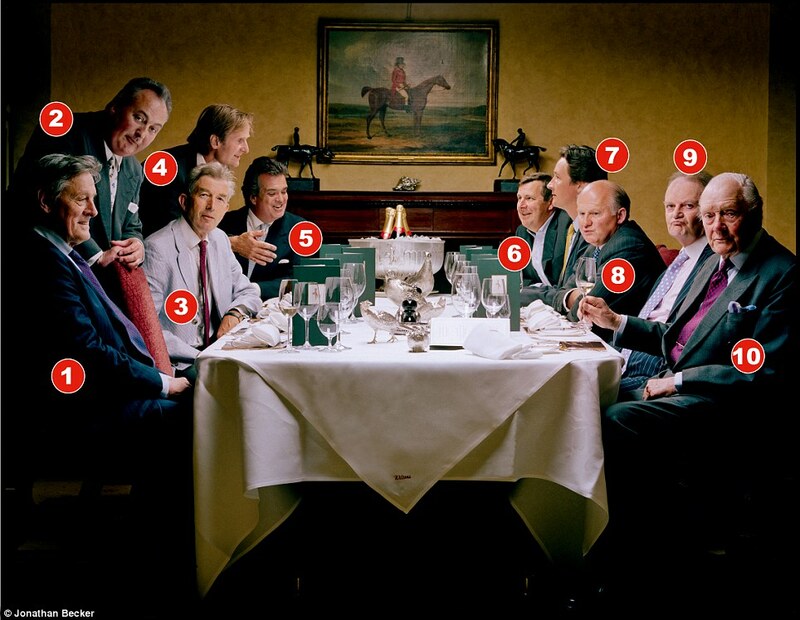 Past members have been Prime Minister David Cameron, London Mayor Boris Johnson, and Chancellor George Osborne. The Oxford Student magazine offered a glimpse into the club's initiation process which involves burning a £50 note in front of street beggars. The financial crisis has been “little more than a blip” for London bankers who were being paid more three years after it hit than before and were more likely to be employed than other workers. The financial sector has proved remarkably resilient with wages in the City rising, while other workers saw pay fall between 2008 and 2011, according to research from the London School of Economics. London’s finance workers took home 14.2 per cent more in salary and cash bonuses for 2011 than they did in 2008. The top 10 per cent of bankers saw their wages rise by an average 8.6 per cent over the three years, more than the 2.3 per cent rise for the other top 10% of workers. Meanwhile, the rest of us got a 3.7 per cent rise – a real terms fall. Taking inflation into account, a worker earning a minimum wage today is worse off than one who made the base hourly wage of $1.60 in 1968. “It’s just really ridiculous to think that business owners can’t pay today at least as much as what they paid four decades ago,” says Holly Sklar, founder of Business for a Fair Minimum Wage, which has attracted support from more than 4,000 small business groups and owners. “Our women [business owners] who pay a living wage have an advantage over their larger counterparts who don’t,” says Margot Dorfman, chief executive officer of the U.S. Women’s Chamber of Commerce, an organization with 500,000 members, three-quarters of whom are small business owners. The International Franchise Association Vice President of Government Affairs and Public Policy Jay Perron says it’s not yet a primary concern for its members. Billionaire Graham Tuckwell has donated $50 million to the Australian National University to establish a scholarship scheme. Bill Gates and Warren Buffet are reknown for their philanthropy. Few individuals or corporations however ''give away'' money. They are placed in tax-efficient trusts or foundations, with the donor retaining substantial control. Contributions are generally tax deductible or protect wealth from the ravages of death, inheritance or estate duties. The charitable foundations also provides employment family and friends. Corporations can legally reduce their tax liabilities and at the same time camoflage the source of their wealth - poor pay, bad working conditions and inadequate environment protection. So pleasant it is to have money..."
As Cameron visits India to drum up business and profits we should acquaint ourselves with some statistics on India. There are, according to Arundhati Roy, around 450 million Indians living in dire poverty, a total equivalent to all the poor in all the countries of Africa combined. ‘Dire’ poverty, meaning just existing, 12 Rupees or 30 (US) cents a day or less does not allow for anything other than bare survival.Is it possible to be healthy on such a sum: To eat nutritiously - to eat at all, to drink clean water, sleep in clean clothes, on a clean bed, brush your teeth with toothpaste, wear shoes whilst working, rummaging through waste mountains, or digging drought-ridden land, is it possible to be happy and retain ones dignity as one begs for the 12 rupees. All ‘normal’, recognizable requirements of living are regarded as luxuries. The number of poor people in the country has barely fallen over a 30-year period. “The Human Development Report released by the Planning Commission shockingly revealed that the poor in rural India were better fed about 30 years ago.”By the government’s own figures 50% of the rural population (836 million) live in poverty, surviving somehow on less than 20 rupees (50 cents) a day, 20 cents more than those in ‘dire poverty. Every second child is underweight and stunted. 1James Graham, Duke of Montrose 2David Manners, Duke of Rutland; 3John Seymour, Duke of Somerset 4Ralph Percy, Duke of Northumberland 5Andrew Russell, Duke of Bedford 6Edward Fizalan-Howard, Duke of Norfolk 7Torquhil Campbell, Duke of Argyll 8Maurice FitzGerald, Duke of Leinster 9Murray Beauclerk, Duke of St Albans 10Arthur Wellesey, Duke of Wellington. One of the country’s richest aristocrats, The Duke of Northumberland, has been accused of unfairly targeting farmers with huge rent rises. The 56 year-old, who is estimated to be worth around £320 million and his Northumberland Estates is said to total more than 132,000 acres of land, was blamed for wrecking the livelihoods of tenant farmers after his land agents demanded the massive rent increases. David Robson, chairman of the NFU in Northumberland accused the estate of only thinking about money. He said: “It seems the Estate is wanting its pound of flesh. Historically, they were run more on the traditional basis where a farmer was actively encouraged to look after the land. Now if the farmer can’t pay he’s out the door." Under historic laws, that go back to the Norman conquest, ‘Lordships of the Manor’ have the right to exploit minerals under common land around towns and villages or land that has been brought by someone else but is still on the ancient estate. The Duke of Northumberland has registered Manorial rights in order to cash in on minerals like gravel, limestone and the new “energy gold”, shale gas. The title was first created in 1551 for John Dudley, 1st Earl of Warwick. Dudley was convicted of high treason and executed. In 1674, an illegitimate son of king Charles II, was created Duke of Northumberland but the line died out in 1716. The Duke of Northumberland title was created for the third time (four if you include a Jacobite creation) in 1766 for Hugh Smithson who assumed for himself, the surname Percy, due to having married the daughter of Algernon Seymour, whose mother Lady Elizabeth Percy was the last of the blood of the ancient House of Percy. This was a deliberate move to allow the ancient name and title of the Percys to be revived as well as inheriting the Percy estates including Syon House and Park. owns 60,000 acres of Scotland, valued at £12.5m in 2001. Duke of St Albans said to own 4,000 acres, worth £12m, in 2001. Duke of Wellington - 7,000-acre Hampshire estate, 20,000 acres of Belgium and Spain. Thought to be worth £50m in 2001. The latest Americn Census Bureau data shows that half of Americans currently falls into either the “low income” category or is living in poverty. Low-income is defined as those earning between 100 and 199 percent of the poverty level. If poverty is measured as 50 percent of the median income, a quarter of elderly Americans are considered poor. Almost half of all U.S. children will be on food stamps during some part of their childhood. Chinese leaked official figures revealed that there were at least 128,000 instances of ‘mass unrest’ throughout the country in 2011 – with mass unrest being defined as 15 or more people in some provinces, and 50 or more in others, violently protesting against the regime, mainly at the local official level. That’s around 350 instances of mass unrest each day, rising from just a few dozen a decade ago. China spent over $US115 billion on the People’s Armed Police, a one-million strong and military-trained organisation whose sole purpose is to control domestic unrest throughout the country. The PAP is distinct from the People’s Liberation Army. Officially, the amount Beijing spends on internal security (i.e. on the PAP) exceeds what it spends on national defence (i.e. the PLA) (althoughindependent analysts believes that Beijing is significantly under-calculating its true PLA expenditure). 15 per cent of the annual fiscal budget for the Chinese central government is allocated to controlling mass unrest throughout the country. This does not even include the further resources spent on other forms of coercion and monitoring by the central and local governments in China. Using the commonly accepted standard of the Gini-coefficient (GN) of measuring inequality by distribution of income (where ‘0’ is perfect equality and ‘1’ is perfect inequality), China’s official score is 0.47. The majority of experts, including researchers from the government-backed Chinese Academy of Social Sciences, believe that the true figure is between 0.5 and 0.57. The World Bank’s standard of poverty is those people living on less than $US1.25 per day. By this standard, about 13.5 per cent of Chinese live in poverty. Since the mid-1990s, poverty reduction in China has advanced at less than 1 per cent each year. China possesses 250 million migration workers from rural areas. These economic migrants work in the cities but are registered as rural residents under the hukou registration system – meaning that they have limited rights to education, health and other government services presented to registered urban residents. Migrant workers cannot afford urban housing, but even if they could, there are subject to restrictions on purchasing urban property – a further reason why so many of the luxury apartments in China will remain without tenants. Two and a half million Americans are currently in prison. Prisoners serve significantly more time in the United States than in most industrialized countries. The U.S. has 5 percent of the world's population, but we have 25 percent of the world's prisoners. The US has the highest incarceration rate in the world, locking up about 500 people for every 100,000 residents, according to the Bureau of Justice Statistics. The incarceration rate for African-Americans is about 3,074 per 100,000 residents, which is more than six times as high as the national average. Corrections Corporation of America (CCA) has annual revenues in excess of $1.7 billion. An average of 81,384 inmates are in its facilities on any one day. Private prisons account for nearly all of the new prisons built between 2000 and 2005. For-profit companies presently control about 18 percent of federal prisoners and 6.7 percent of all state prisoners. And nearly half of all immigrants detained by the federal government are shipped to for-profit prisons. U.S. Immigration and Customs Enforcement (ICE) imprisons about 400,000 undocumented people a year. The for-profit prisons and their lobbyists in Washington and state capitals have successfully blocked immigration reform. The for-profit prisons can charge the government up to $200 a day to house an inmate; they pay detention officers as little as $10 an hour. Capitalism writes our laws and profits from our misery. Priests and bishops who embraced liberation theology, a "progressive" form of Catholicism originated in Latin America in the 1960s, were censured by the outgoing Pope and now has lost the support of bishops and cardinals. Ratzinger was a hardline opponent of this movement, which emphasises the need to confront social injustice based on the Christian commitment to the “preferential option for the poor”, and used his previous post as Prefect of the Congregation for the Doctrine of the Faith – the successor to the Inquisition – to ban people like Hans Küng, of Switzerland, and Leonardo Boff, of Brazil, from teaching theology. It was Ratzinger who inspired and provided the theoretical background to the conservative measures taken by Karol Wojtyla, the Polish Pope. They both refused to implement the decisions of the Second Vatican Council (1962-1965) – a conference held 50 years ago. They both ruled out progressive bishops and appointed conservatives; they gave more importance to movements like the (ultra-conservative) Opus Dei than to pastoral ministry to the poor or basic Christian communities. The Catholic Church is still loaded down with mediaeval baggage. Benedict XVI was never sensitive to social issues. The richest 1% of Asian households now own about 6-8% of the region’s wealth. China's Gini coefficient in 2012 was 0.474 (on a 0-1 scale, zero is perfect equality and 1 is perfect inequality), making the country among the most unequal societies. For India, the figure rose to 0.37 from 0.33. India had two billionaires in mid-1990s. Today it has 46. Yet nearly 70% of Indians live on less than two dollars a day. Indian billionaires’ wealth equals about 10% of the country’s gross domestic product. The expenditure share of the top one percent of India’s population increased from 6.5% in 1993 to 9% in 2010. The real income of the top one percent of earners has increased by about 50% in the past two decades. The top 5% of the population spends 21.3% of total expenditure, against 17.7% in 1993. Unequal income distribution has resulted in consumption levels of the top 20% of the population going up, whereas the bottom 80% of the population continues to suffer. Indonesia saw the highest increase in income inequality levels worldwide: from 0.33 in 2006 to 0.41 in 2011. 1) Moral revolutionaries - People who see the effects of capitalism on others and around the world and are compelled to seek ways to find a just and better society for everyone. 2) Intellectual revolutionaries - People who usually come across socialism as part of their studies while at university. They read Marx and find his analysis of capitalism to be correct. They then feel it necessary to pursue that line of study. 3) The material revolutionaries - Those whose personal experience of capitalism compels them to act to change it. Often they will be drawn to the conclusion without any prior knowledge of socialist theory. Of course there will exist a cross-over and interaction of these categories. We are active agents in changing our destiny. Revolution will happen when the material conditions force enough people to see no other alternative but to seek something new. 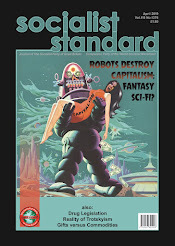 At the moment the Socialist Party is trying to convince more people of this with a view to their joining the Party and thus help to speed up the coming of socialism, but we are relying on people's experience of capitalism's failure to meet their needs properly to convince them of the need for socialism, independently of our own activity. The activity of a socialist party is aimed at speeding this up, not creating it from nothing. Once decided democratically that we are heading for a socialist world it becomes a much simpler matter. Quite how this will happen is open to conjecture. As expressed on numerous occasions, we have no blueprint. Depriving the capitalist class of the state and its functionaries is the first objective. Once the decision is made, then it becomes a matter of organisation. Suffice it to say there will have been a period of planning and co-ordination by mass organisations in work places, in neighbourhoods, in educational establishments, in organisations with international links and in civic organisations, which will culminate in the collective and proactive decision of the people to take control over the direction of their lives immediately and for the future. The decision to turn their backs on the system that has failed them over and over in favour of one for which they are ready to work to make happen, ready to work to continue its progress and which will work for them, not against them. With ever-increasing numbers, discussion and debate will have begun to determine the direction of the path to be taken. a. This EC notes reports of Socialist Workers Party (Britain). i. Arbitrary expulsion prior to conference of four members resulting from their expression of political disagreement. ii. Subsequent resignations after the allegations have been made public outside the party. iii. Further allegations of procedural impropriety arising fromcentral committee privilege. i. Members can speak freely and action alleged to be detrimental to the interests of the organisation decided as democratically as possible by the membership as a whole. ii. Democracy means all members should participate in determining policy and be in full possession of the facts.All positions of responsibility should be chosen through competitive election. iii. Activity should be democratic and decided by the majority. Anarchist criticism of tyranny of the majority is wrong and leads to tyranny of structurelessness. Activity or inactivity should be voluntary. c. The Socialist Party concludes -- our unique contributions. i. The SWP tradition (its policies determined by the Central Committee) is distinguished by organisational norms contrary to the labour movement and its best interests. ii. Secrecy under the guise of security is characteristic of a sect not a party. iii. Likewise, the party has a responsibility to hear and listen to political complaints openly from within and from workers outside the party without prejudice. This is especially the case for complaints against those in positions of responsibility. The Barricade or the Ballot? A lesson that history teaches is that militancy is not the same thing as being revolutionary and should not be confused with it. The German workers in 1918-23 were among the most militant in central Europe and to all appearances wanted a council republic. In reality, however, the Social Democratic leaders had little difficulty in misleading them, by representing conventional democratic reforms as socialistic or at least as steps toward the achievement of a "socialist" society. Ebert and his collaborators on the Council of People’s Commissars easily steered the German workers toward acceptance of a basic democratic republic clothed in socialist rhetoric. The Social Democrats believed that a revolution made by a minority must inevitably result in civil war, as proved to be the case in Russia, and that if a minority coup succeeded, it could maintain itself only by establishing the dictatorship of a minority over a majority. This prospect induced Friedrich Ebert, the leader of the German Social Democratic Party, to declare in 1918 that he detested revolution like “sin.” The majority of the German working class were not revolutionary. The German proletariat was perhaps the working class most socially integrated into the existing capitalist system of any in western Europe, and in caution and moderation it differed from other European working classes in degree, not in kind. In fact, the proletariat as a whole has generally feared insurrections--and has acted in an insurrectionary manner only under the most exceptional circumstances. The three-day armed demonstration, the Spartacist Uprising, of the Berlin workers in early January 1919 does not invalidate this conclusion. The KPD and the KAPD with their “revolutionary" gymnastics tried to turn every strike into an uprising, every uprising into an insurrection, and every insurrection into a revolution. Yet only three thousand Freikorps troops were all that was needed to disperse about ten times as many fairly well-armed Bremen workers in 1919. In pursuit of the rebel Max Holz required only the State's resources of the police not even the army. A well-organized well-trained, well-equipped, and relatively disciplined military units have an ability to quell massive popular insurgencies. Revolutionary success often depends not only upon the formation of a similarly organized and trained insurgent force but also upon the willingness of the rank-and-file military forces to shift their loyalties and support to the revolutionaries. Moreover, modern weapons have rendered military-style insurrections ever more irrelevant. The ruling classes have all the advantages of a technically sophisticated and politically disinterested professional volunteer military force, supported by an effective war machine. Against such forces a poorly trained, decentralized, and egalitarian force will most likely succumb to defeat. Thus the most crucial task for the socialist movement today is to win over to its views the great majority of the population. Revolution need not be conceived as a violent transformation of society. With the support of the great majority of the population, in an era where politics has come to mean a manipulative game played among distant elites which has led to a disillusionment and lost of trust in conventional institutions like political parties and trade unions, traditional political institutions can, nevertheless, be transformed and democratised to become the primary means for changing society. Agriculture is in fact one of the world's most insatiable consumers of water. And yet it's facing growing competition for water from cities, industry, and recreation at a time when demand for food is rising, and water is expected to become increasingly scarce. Corporations and investors are buying up foreign farmland and the freshwater perks that come with it. From Sudan to Indonesia, most of the land lies in poverty-stricken regions, so experts warn that this widespread purchasing could expand the gap between developed and developing countries. The 'water grabbing' by corporations amounts to 454 billion cubic metres per year globally, according to a new study by environmental scientists. That's about five per cent of the water the world uses annually. Investors from seven countries - the United States, United Arab Emirates, India, United Kingdom, Egypt, China and Israel - accounted for 60 per cent of the water acquired under these deals. Most international land deals involve a tangle of different corporations and partnerships. A handful of the purchasers are countries, but most are investment firms, biofuel producers or large-scale farming operations. Some of the more active buyers in the United States, which leads the pack in number of deals, include multinational investors Nile Trading and Development, BHP Billiton, Unitech and media magnate Ted Turner. "In many of these countries, the sum of the water being grabbed would be enough to eliminate malnourishment," says D'Odorico, who collaborated with scientists from Italy's Polytechnic University of Milan. Wendy Wolford, a professor at Cornell University who studies political and social impacts of international land deals, says they "don't grab land in places without access to water." Some countries - including Indonesia, the Philippines and the Democratic Republic of Congo - had large amounts of water rights grabbed because they're countries with a lot of rainfall. Wolford says there is danger that local people - especially in places like sub-Saharan Africa - are not aware of land purchases and how it could affect their way of life. "That's probably the biggest problem - people could have gathered timber from the woods or lived downstream of the land grabbed," Wolford says. "These things could be taken away without them knowing what happened." A plantation in Ethiopia's Gambela region, owned by a Saudi Arabian billionaire, diverts water from the Alwero River and it has led to violence. The Alwero River is important for thousands of people in the region - for farming and fishing. In Sudan where land is usually grabbed on the banks of the Blue Nile - heavily sought after spots in an otherwise dry place, pushes out small farmers causing the local population is becoming increasingly dependent on food aid and international food subsidies. Since 2000, 1,217 deals have taken place, which transferred over 830,000 square kilometres of land, according to the public database Land Matrix. About 62 per cent of these deals were in Africa - totaling about 560,000 km2. Asia. About 66 per cent of the total deals are in countries with high hunger rates. Land grabbing surged from 2005 to 2009 in response to a food price crisis. Droughts in key grain-producing countries - such as the United States, Argentina and Australia - in recent years play a role as well. With dwindling yields, richer nations buy up land in other places to secure their own food supply. Another big driver is biofuels and new biofuel policy. It has really increased the demand for agricultural land. Jennifer Franco, a researcher at the Transnational Institute, an international think tank in the Netherlands explains "Capitalist firms are not Boy Scouts, and they are unlikely to place moral codes and 'good governance' above the interests and demands of their owners or shareholders,"
The profits enjoyed by the rich are supposed to be rewards of their risk-taking. Where was the risk when having gambled and speculated on financial bubbles they were then compensated for their losses by the State and in many cases emerged wealthier than before. The same people who caused the economic recession remain in charge and are trusted to manage its aftermath. Apart from some populist generalised condemnation of bankers and a few toothless sanctions, the traditional scapegoats have been targeted, benefit claimants and immigrants - and if a person happens to be both - so much better. It is easier picking on the vulnerable than challenging the powerful and which would involve potentially revolutionary implications. SOYMB reads that the work and pensions secretary Iain Duncan Smith wants some EU citizens to be entitled to benefits such as for housing, unemployment, sickness and disability.only if they have been resident in the UK for at least a year, as opposed to the current three months. Duncan Smith said he would like to have tighter restrictions in place before Bulgaria and Romania are given full access to the EU next year. Duncan Smith said "I think we will be able to tighten up and make those regulations much tougher for people coming in just to take advantage of our benefit system." Those in search of a better life for themselves and their families are accused of being "benefit tourists" taking advantage of "soft touch" Britain. The world over, workers must do what they can to survive and that means escaping economic poverty by migration if necessary. With Greek unemployment climbing to 30%, with their factory abandoned by the employers, the workers of Vio.Me., a building materials factory in Thessaloniki, Greece, and who have been unpaid since May 2011, by decision of their general assembly declared their determination not to fall prey to a condition of perpetual unemployment, but instead to struggle to take the factory in their own hands and operate it themselves, demanding legal recognition for their workers’ cooperative. When factories are closing down one after another, the number of the unemployed in Greece is approaching 2 million and the vast majority of the population is condemned to poverty and misery the demands of the Vio.Me workers is a reasonable response. Some, however, might see this as the beginning of a social revolution in which the workers take over the factories and organise production without the bosses but the more sober assessment is workers, in a crisis situation, are reacting in a pragmatic fashion to try to ensure that they had some source of income to maintain themselves and their families. But it does at least show, to any who might not have already realised it, that workers can organise production without bosses. Organising production without the boss class is one thing; escaping from the economic laws of the market is another. Within capitalism, it is not just a question of organising production, but also of selling what is produced. Because of their precarious legal position, the workers cooperatives running a recuperated enterprise are at a competitive disadvantage hence the importance of being recognised legally to access funds. The fact is that there is no way out for workers within the capitalist system. As long as capitalism lasts workers will have to find a source of money one way or another and so will always be in a dependent and precarious position. At most they can only make their situation a little less unbearable. Nevertheless, the Vio.Me workers from actual experience have learned that capitalism is a class struggle between those who own the means of wealth production and those who don't and that this class struggle is not just over the price and conditions of sale of the commodity workers are selling but ultimately about control over the means of production. Argentinan capitlaists in its economic melt-down of December 2001 abandon their factories and it also happened in Russia in 1917, Spain in 1936, and Hungary in 1956, provide examples of when the capitalist state is temporarily incapable of protecting capitalist property, then the workers more or less spontaneously take over their workplaces and keep production going. Workers are not going to let themselves starve: if the means of production are there, and there's no state to stop them using them, they'll go ahead and use them. Neverthelea as soon as the emplying class recover from the recession and the state regains its power, then then they in a position to confront the workers and re-impose their authority and control. The state upholds legal private property rights. The importance of political power is in fact fully recognised by the Vio. Me workforce. This is why they are calling for the law on property rights to be changed so as to recognise the property rights of the workers cooperatives. Real victory can only come as a result of a consciously socialist political movement winning control of political power to abolish all capitalist property rights and usher in the common ownership and democratic control of the means of production. The movement and migration of people is normal. Free movement is moreover a basic ‘human right’ and some would compare restrictions on migration to apartheid in South Africa with its pass laws. It is an extraordinary notion that members of the human race should be forced to remain on that small section of the earth's surface in which they happened to be born. Members of the capitalist class don't stay put. They travel freely round the world, from London to Paris, from grouse moor to ski slope, from Caribbean island to Mediterranean cruise, from the chateau in Switzerland to the ranch in Arizona. And no-one dreams of telling them that they can't. Like so many laws enacted by the ruling class, restrictions on the crossing of borders really only hit at members of the working class. 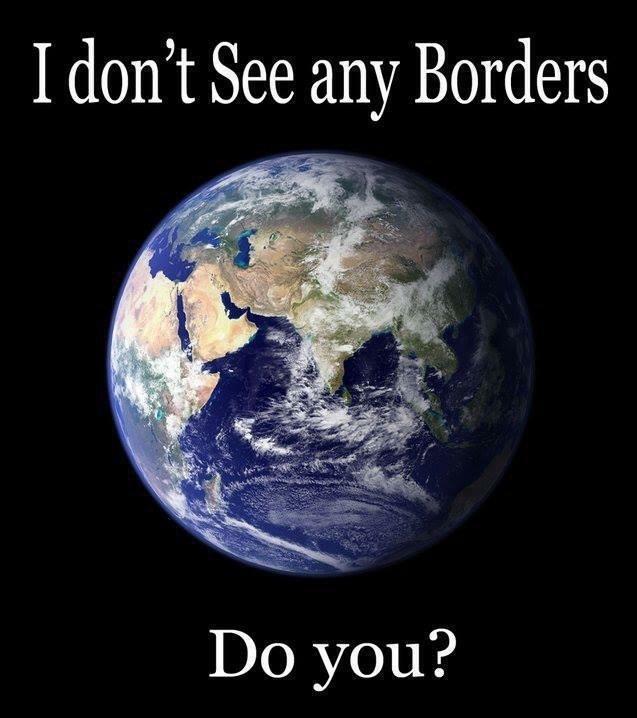 Those who try to foment ill-feeling towards immigrants, whether they come as political asylum-seekers to escape persecution, or as economic migrants to obtain slightly higher wages, never attack the upper class, who swan about the world as if there were no such thing as state boundaries and as if they own the world (which is probably true in the large part). People travel to seek a future for their families but we live in a world in which a lot of migration isn't voluntary, but is forced by poverty. A migrant's journey can be expensive and arduous, often indeed fatal while trying to cross frontiers. Migrants are rarely well off in the country they move to, forming an underclass with little if any security of employment or housing. Immigration laws turn these people into criminals. Immigration laws are anti-worker laws. They say that if migrants without papers work here it's a crime. But how can people survive if they don't work? A committee of the British parliament described official attitudes to paying benefits to migrants as ‘a deliberate policy of destitution’, a rare example of straight talking. Immigrants who now try to settle in Britain come at the bottom of the social scale, taking the worst houses, accepting the worst conditions. It is all too easy to blame immigrants for causing or at least aggravating problems such as unemployment, bad housing or crime. Even workers who do not support such ideas may still blame migrants as convenient scapegoats. With or without immigration there will be unemployment, homelessness, crime. Rival capitalists take different views on the usefulness or otherwise of immigrants. For no ruling class is ever completely unanimous, no two capitalists have identical interests. The question of immigration causes disputes within the ruling class. Some want to establish the right to bring in workers from any other country and counteract the danger of having to raise wages because a view is taken that some immigrants will be prepared to work for lower pay. Our masters always seek to intensify competition among workers, potentially fermenting xenophobia and racism by pandering to, or stimulating, some of the ugliest of prejudice. Needless to say, when demand for labour slackens off, the capitalists play the infamous 'race card' in order to keep the working class at one anothers throats. Instead of labelling and pointing the finger at, falling for the divide and rule tactics which weaken us all, workers should recognise who their real enemy is and work together to defeat the system that enslaves us all. Over the centuries a myriad of different peoples have migrated to the British Isles. One would be hard-pressed to find a true pure Englishman and many fail to even appreciate that they themselves are recent arrivals in the British Isles. The mongrel British "nation", arose from the amalgamation of Jutes, Saxons, Romans, Danes and Vikings. Immigration has been a part of British development. In the 12th century came French Jews to London, Lincoln, York and Norwich; in the Elizabethan age Italian musicians, German businessmen and the first African slaves; then Protestants from the Low Countries seeking religious tolerance; Huguenot refugees from France 'en masse' in the 17th century; likewise Greek Christians fleeing from the Turks. In 1768, courtesy of the slave trade, there were 20,000 black Londoners out of a total population of 600,000 and in 1840 400,000 Irish escaping the potato famine came to Manchester, London, Liverpool and Glasgow. By the end of the 19th century 40,000 Italians and 50,000 Germans had settled here plus 150,000 Jewish evacuees from Tsarist pogroms in Russia.etc. It manifests itself in our menus, from fish and chips to curry and pizza. Immigration should bring people together instead of pitting workers against eachother. People should be at home anywhere on the planet and welcomed by their new neighbours. How much longer are we willing to sit around and let capitalism divide us? Who gave the world's rulers the right to tell us which bit of land we should live on? Some historians prefer the term the English Civil War to the English Revolution. They readily acknowledge the American and French upheavals as revolutions but are reluctant to recall that England was the scene of the first revolution against the power of a monarch. Having falsified the revolution, it has also erased the very memory of revolution by dissolving England's past into gradualism.The revolution may have begun with an attempt by wealthy land-owners to defend their rights against an autocratic monarchy, but soon more fundamental questions were asked about who had the right to own land and how that right was justified; about the nature of political authority; and about the balance of political and spiritual authority. The English Revolution was a bourgeois revolution, not a socialist revolution. However, Engels pointed out in Socialism, Utopian and Scientific, "In every great bourgeois movement there were independent outbursts of that class which was the more or less developed forerunner of the modern proletariat". The English Revolution was capitalist primarily in its outcome, not its originating intention, for a capitalist revolution does not mean a revolution made by or consciously willed by the bourgeoisie. (similarly the Russian Revolution of 1917 can be viewed as effectively a capitalist revolution without the capitalists). It should never be forgotten that it was the ordinary people who did the fighting and the sacrificing that won the gains of these revolutions, even if the beneficiaries were in fact a different class (or bureaucracy). During the revolution it was the poor who formed the backbone of the parliamentary forces and, in 1649, it was the poor, those who had no interest in maintaining the hierarchy and economic inequality of society, who were the basis for any extension of the revolution. In the English Revolution it was also the case that religion expressed class conflict and the overwhelming desire for economic equality. Religion and politics were in fact inseparable. Religious debates often concerned competing political strategies. The god the poor appealed to was a god of class levelling, described by Digger leader Abiezer Coppe: "For lo I come (says the Lord) with a vengeance, to level also...your honour, pomp, greatness, superfluity, and confound it into parity, equality, community; that the neck of horrid pride, murder, malice, and tyranny, etc may be chopped off at one blow." The Levellers argued that since God had created all men as equals and many had their own idiosyncratic interpretations of the Christian faith. However some radicals understood the disarming and distracting role religion could play: "For while men are gazing up at heaven, imaging after a happiness, or fearing a hell after they are dead, their eyes are put out, and they see not what is their birthright, and what is to be done by them here on earth while they are living". 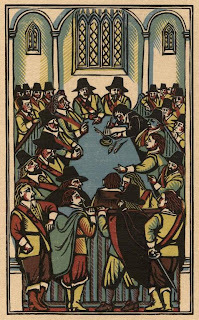 Some of the most important revolutionary questions ever raised in England were debated at St. Mary's church in what was then the small village of Putney by members of The New Model Army who had defeated the King's forces and now demanded the right to decide on the new world they would live in. It exposed the divide between the Grandees, the senior officers who were mainly landowners, and the Agitators, the ‘common’ people who felt the victory was theirs and wanted political rights in return. Thomas Rainsborough made his famous statement 'for really I think that the poorest he that is in England hath a life to live, as the greatest he’ . These radicals foresaw that without a redistribution of resources political rights would ultimately be eroded. Hence the call for land redistribution so that it could become, in Gerard Winstanely's words 'a common Treasury'. The Putney Debates is held by many to be the first step on the road to universal suffrage and democratic rights. The concerns of the poor, as opposed to the farmers and artisans, were articulated by the most radical group, the Diggers. Gerrard Winstanley, wrote how wage labourers had their labour stolen from them and campaigned for the abolition of wage labour. Their alternative was the communal cultivation of the land, which was to be held in common ownership. The Diggers' movement was crushed by the landowners. Often overlooked by historians is the Corporal's Revolt of 1649. Corporal William Thompson close to the Leveller John Lilburne agitated among the soldiers. He was court-marshalled for attempting to stir up mutinies in solidarity with the Leveller army revolt of 1647 but he escaped his death sentence. After the regimental revolts which ended at Burford in May 1649, Thompson and around 120 comrades launched an insurrection at Banbury. Thompson went beyond inciting soldiers to mutiny and called for a rebellion against tyranny and oppression. After being routed by troops loyal to the republic, Thompson and his companions eventually overrun by army regiments. Thompson was killed in this encounter. Thompson was called the General of the Levellers. Thompson and his revolt was of far more concern to the authorities than Winstanley and the Diggers. While the Thompson's revolt was based on the army, the later Coopers' Revolt in 1657 was based on the dissident religious sects who hoped to inspire a mass movement. 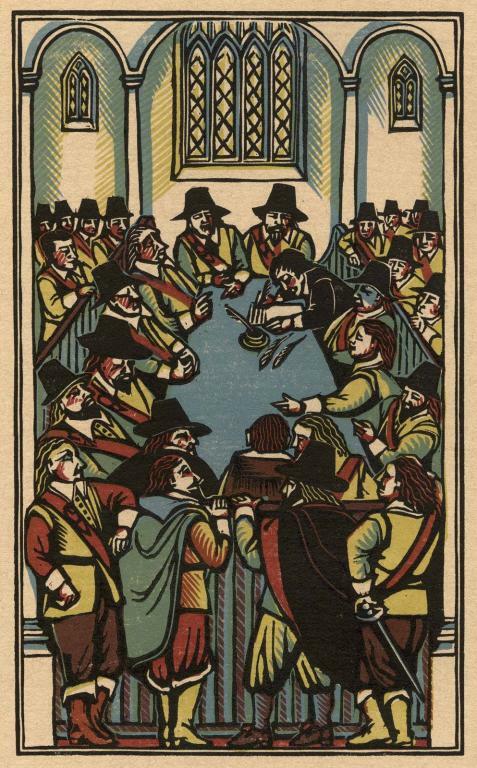 The 17th century radicals of the English Revolution dreamt of a society of equality and freedom. In today's world revolutionary change is also called for. Modern socialism owes much to the legacies of the past such as the Tolpuddle Martyrs and the Chartists. The British working class can find rich precedents for revolutionary action. "The Levelution has begun, So I'll go home and get my gun, And shoot the Duke of Wellington." A 19th century street song quoted in "The Making of the English Working Class" by E.P. Thompson. Is it spend spend spend again? The Salvation of New Zealand?